We’ve been helping Kiwibank since 2008 improve the lives of customers and staff by enhancing their public website, internet banking and mobile app. 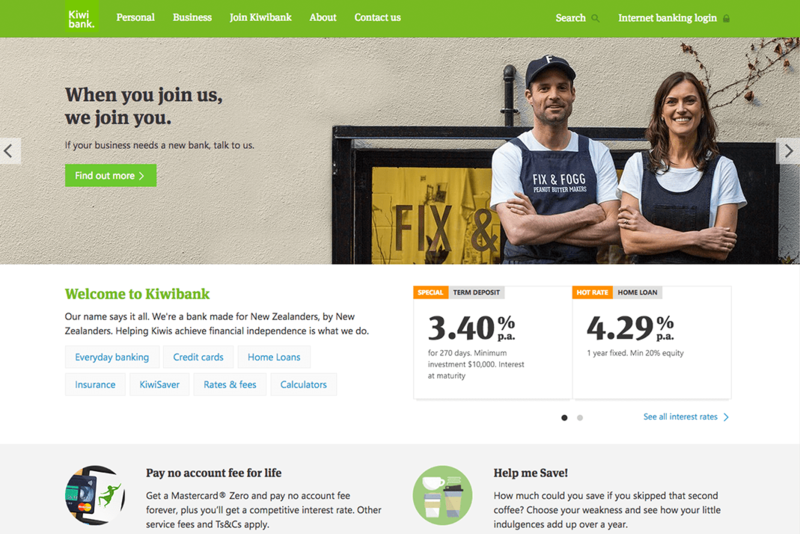 Moving Kiwibank’s public website to the Wagtail CMS was the first (huge) step in giving Kiwibank greater control, clarity and consistency over their content. Having everything on a single, flexible and scalable platform has enabled us to rebuild their bespoke content and align it with Kiwibank’s wider brand. I’ve worked with Springload for over six years and the word that sums our relationship up best is ‘partnership’. Kiwibank wanted certain tools to be more harmonious with the public website, user-friendly, easy for editors to maintain, and reusable. 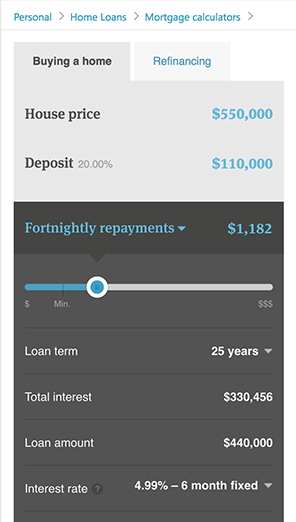 We chose a mobile-first design approach taking our cues from a simple, user-friendly home loan repayment calculator on the public website. Enhanced some commonly reused components, reduced copy, increased headings and made them consistent. 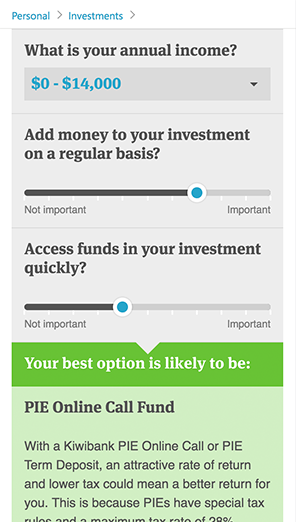 We also added bigger CTA buttons. Customer journeys were simplified with less fields and more useful UX copy. Each form and calculator is reusable and can be embedded in other parts of the site. We continuously test the code underlying Kiwibank’s calculators making sure customers get the correct end result. We do this by running an automated script in a production-like environment, which tests for errors and checks code quality. increase the number of customers applying for a card. We tweaked the credit card landing page with multiple CTAs for users to compare cards, focussing the language towards customer goals. 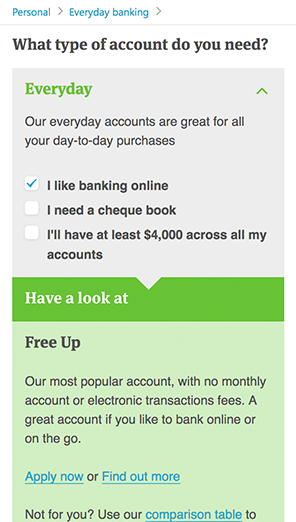 When we A/B tested against the current credit card landing page, our version performed significantly better. Unique page views increased by 7.58%. More customers compared cards, in fewer steps, showing we’d simplified the customer journey. 17% more customers started the Apply now process. Springload are the custodians of our digital customer interactions, and have been critical in building our brand through digital since they built our first website in 2007. It’s hard to know where their team starts and ours stops, and I can’t recommend them highly enough. We have an ongoing partnership with Kiwibank and look forward to further optimising and improving their digital experience.